A definitive start date of the Sustainable Development and the Precautionary Principle is uncertain, but there have been several events that proponents of PP have attributed to its beginnings. 2)	The precautionary principle has its beginnings in the German principle of Vorsorge, or foresight. At the core of early conceptions of this principle was the belief that society should seek to avoid environmental damage by careful forward planning, blocking the flow of potentially harmful activities. The Vorsorgeprinzip developed in the early 1970s into a fundamental principle of German environmental law. 7 It was subsequently incorporated into a number of regional environmental agreements in Europe. 4)	The first action by the UN to address environmental issues was in 1972 at the UN Conference on the Human Environment in Stockholm, Sweden. This was the first global environmental meeting of this kind. 6)	The Ministerial Declaration of the Second International Conference on the Protection of the North Sea in 1987 stated: “Accepting that in order to protect the North Sea from possibly damaging effects of the most dangerous substances, a precautionary approach is necessary which may require action to control inputs of such substances even before a causal link has been established by absolutely clear scientific evidence”. 10 This was one of the first mentions of Precautionary Principle type approach in a formalized multinational document. It is difficult to speak about the Precautionary Principle (PP) without mentioning the subject of Sustainable Development since the two concepts are interconnected. Agenda 21 is a program run by the United Nations that pertains to sustainable development issues. 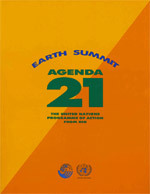 Agenda 21 was introduced at the 1992 United Nations Conference on Environment and Development (also known as Earth Summit or UNCED). Proponents claim that Sustainable Development ties together concern for the” carrying capacity of natural systems “with the social challenges facing humanity. The Rio Declaration on Environment and Development or the Rio Declaration was produced at the same Earth Summit. The Rio Declaration consisted of 27 principles intended to guide future sustainability development around the world. An important achievement was an agreement on the Climate Change Convention which in turn led to the Kyoto Protocol. The Convention on Biological Diversity was opened for signature at the Earth Summit, and made a start towards redefinition of money supply measures that did not inherently encourage destruction of natural ecoregions and so-called uneconomic growth. Twelve cities were also honored by the Local Government Honours Award for innovative local environmental programs. These included Sudbury, Ontario in Canada for its ambitious program to rehabilitate environmental damage from the local mining industry, Austin, Texas in the United States for its green building strategy, and Kitakyushu in Japan for incorporating an international education and training component into its municipal pollution control program. Framework Convention on Climate Change (UNFCCC). Both Convention on Biological Diversity and Framework Convention on Climate Change were set as legally binding agreements. 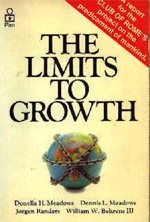 The other documents from the Earth Summit are meant as a guide for sustainable development. 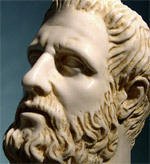 However,” The Rio Declaration on Environment and Development is a set of 27 legally non-binding principles designed to commit governments to ensure environmental protection and responsible development and intended to be an Environmental Bill of Rights, defining the rights of people to development, and their responsibilities to safeguard the common environment”.13 This is a direct contradiction to the claims of SEHN. The National Environmental Policy Act of 1969- The National Environmental Policy Act (NEPA) requires federal agencies to integrate environmental values into their decision making processes by considering the environmental impacts of their proposed actions and reasonable alternatives to those actions. Contrary to what SEHN states in their handbook, this act of looking at alternatives is prescribed but these alternatives are not ordered by the act. The Clean Water Act of 1972- The Clean Water Act (CWA) is the cornerstone of surface water quality protection in the United States. (The Act does not deal directly with ground water nor with water quantity issues.) The statute employs a variety of regulatory and non-regulatory tools to sharply reduce direct pollutant discharges into waterways, finance municipal wastewater treatment facilities, and manage polluted runoff. These tools are intended to achieve the broader goal of restoring and maintaining the chemical, physical, and biological integrity of the nation's waters so that they can support "the protection and propagation of fish, shellfish, and wildlife and recreation in and on the water. The Occupational Safety and Health Act of 1970- The Occupational Safety and Health (OSHA) Act was enacted to "assure safe and healthful working conditions for working men and women." The OSH Act created the Occupational Safety and Health Administration (OSHA) at the federal level and provided that states could run their own safety and health programs as long as those programs were at least as effective as the federal program. The Pollution Prevention Act of 1990- established the national policy that pollution should be prevented or reduced at the source whenever feasible. Preventing pollution offers important economic benefits, as pollution never created avoids the need for expensive investments in waste management or cleanup. Under the Obama administration voluntary programs take a backseat to onerous environmental regulations that are being pushed as we speak. Examples of these types of regulations are the Climate Bill, Superfund Tax Reinstatement Bill, Toxic Chemical Safety Act of 2010 (which is discussed in the conclusion). The United Nations Framework Convention on Climate Change of 1994-The Convention on Climate Change sets an overall framework for intergovernmental efforts to tackle the challenge posed by climate change. It recognizes that the climate system is a shared resource whose stability can be affected by industrial and other emissions of carbon dioxide and other greenhouse gases. Kyoto Protocol of 2005- The Kyoto Protocol is an international agreement linked to the United Nations Framework Convention on Climate Change. The major feature of the Kyoto Protocol is that is sets binding targets for 37 industrialized countries and the European community for reducing greenhouse gas (GHG) emissions. These amount to an average of five percent against 1990 levels over the five year period 2008-2012. The major distinction between a Protocol and a Convention is that while the convention encourages industrialized countries to stabilize GHG emissions, the Protocol commits them to do so.